Succulent Garden Galore in Chicago IL - Wall's Flower Shop, Inc. 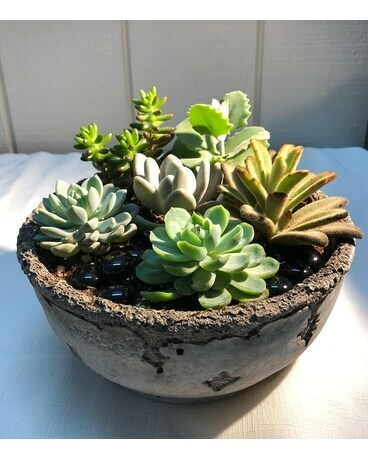 This gorgeous succulent garden is set to make a fantastic gift for any of life's special moments. An array of succulents in varying textures and shades of green are planted in an attractive ceramic container your recipient will love. A wonderful thank you, thinking of you, or housewarming gift!